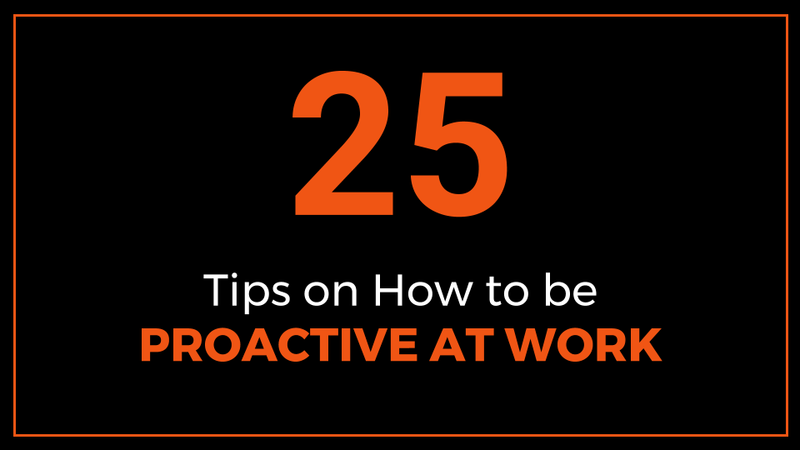 This article discusses 25 tips on how to be proactive at work. Being proactive is a desirable trait. Bosses, colleagues and customers all like and appreciate employees who are proactive. Your level of self-confidence, happiness and satisfaction at work increases when you are on top of things and are handling your tasks in a timely, deliberate and efficient manner. Being proactive means anticipating what might happen, planning ahead, preparing in advance and acting ahead instead of simply reacting to circumstances. Being proactive builds your personal brand and reputation at work. People can count on you for your reliability. A proactive employee thinks ahead, acts ahead and gets ahead. You can quickly skim all the 25 tips on the table of contents below and then click on any tip to read further details. Please enjoy reading. Thank you. When you receive an email you can quickly determine if the email is just for your attention and no action is needed, or if it is for your attention and action is needed either immediately or later. If it is something you can quickly answer, provide your response straightaway. If it’s something you will work on or research on before answering later then send a brief email confirming you will send feedback by a certain time or date. Acknowledging receipt enables the recipient to know that you received their email and when they can expect feedback. People appreciate prompt responses to their emails. You could win new business by being first or fast in responding to a customer request. Do not ignore replying. If you happen to forget an email, apologize and reply as soon as you can. Always include a clear email subject and begin by thanking the sender for reaching out. For external emails make it a practice when replying to include your email signature with your name, title, company and contact details. Also respond to everything that has been asked on the email rather than answering just a few parts. At all times verify if you have included an attachment. Go an extra step and open up the attachment to double check it is the right one. Additionally, take a moment to double check whose email address is on the ‘reply to’ line. Sometimes the autocomplete can populate the wrong email address. Block specific times during the day for when you respond to emails. Routinely check your spam or junk folder to verify that legitimate emails did not end up there. Also use great judgement before selecting the “reply all” button. It is a good idea to know your company’s policy for response time for emails. Strive for relevant and brief responses to emails and proofread your emails. At a minimum respond to emails within one day, for urgent emails respond sooner. repeating back critical information such as names, numbers and addresses. A challenging part for callers is when they are transferred from one person to another. Manage this process well by letting the caller know you are transferring them to a specific person and explain why you are transferring them for example that person is a specialist who can assist them further. Master the operations of the phone system and use its various functions seamlessly. It is also helpful to know the roles of different people in the company and keep an internal phone book nearby. When responding to calls from colleagues, bosses or customers, speak in a clear and upbeat voice, and be ready to offer help and resources e.g. links to websites. Make a mental note of the key points during a phone call or you can write them down. If you have kept someone on hold while you verify something or do quick research, reassure them from time to time that you are still on the line and working on their request. If you tell someone that you will call them back, make it a point to do so. Requests and complaints can come from multiple internal and external sources such as colleagues, supervisors, vendors, suppliers, customers, shareholders etc. Handling requests and complaints in a timely manner is vital for good customer satisfaction. Begin by understanding what the request is, what is needed and by when. Then assess how to handle the request and what resources, if any, are needed to comply with the request. providing additional tips that might be helpful. On the other hand, complaints are an ever present aspect of work. One of the most important things to note is the use of tone when responding to complaints, whether it is a response via email, phone or snail mail. Responsiveness to customer complaints breeds loyalty. Some tips to keep in mind when handling complaints include: handle everyone with respect at all times, being firm but friendly when rules cannot be broken, not over promising, being sincere and polite, being patient and controlled, listening well, being perceptive or understanding, having a positive outlook and don’t take it personally. Other tips when responding to complaints include: owning up and apologizing when something goes wrong, providing clear instructions, checking in, offering high quality customer care and negotiating and persuading. Get into the habit of writing a to-do list for the things you want to focus on each day. This is an efficient system of planning your workday. The ideal time to write a to-do list is at the end of a workday when you review what you have done versus what you had planned to do. Also assess additional new tasks that that have been added to your plate. Then develop a draft to-do list for the following day. You will leave work knowing what your priorities are for the next day and when you arrive in the morning you simply review your tasks and begin working. The best part of having a to-do list is checking off an item after you have completed it. A to-do list gives you a big picture overview of what you are supposed to be working on. It helps to keep you on track and reduces the risk of forgetting to do something that you were supposed to work on. Prioritizing begins by writing a list of all the tasks which you need to do then ranking them according to importance. Mark items as urgent vs. non urgent and work immediately on the most pressing items first. Estimate how much time it would take to complete tasks to have an idea of how your day would look like and stay focused as you complete the tasks at hand. Give yourself a cushion to cope with unexpected situations, surprises and last minute requests. Communicate key priorities with your boss or team so that they know when to support you or steer clear to give you room to work. Use deadlines to plan and manage priorities. Break down big projects into small tasks and assign mini deadlines for each task. To be more proactive at work, develop simple methods that can aid in doing your work faster and more efficiently. Simple efficiency methods to adopt include: documenting your major duties and operations for others to have during your absences; knowing your company’s policies and procedures; knowing what other units are working on to avoid duplication and waste of time and resources and collaborating with others. Other methods consist of: developing flowcharts for critical procedures and operations; developing work plans and Gantt charts to track projects; preparing standard operating procedures; writing manuals, guidelines and handbooks and creating FAQs for commonly asked questions. Developing how to videos and explainer videos; preparing step by step screenshot explanations to make it visually faster for others to understand processes and developing indexes, executive summaries and table of contents for documents to make them scannable or skimmable. Properly filed and well labelled documents; factoring review periods or quality control for work done; scheduling regular status update meetings and having standardized scripts for repeatable processes such as sales calls. Outsourcing labor intensive activities e.g. events management and using customer friendly systems such as online chats on websites to help customers and provide them with a transcript of the online chat session. Additional efficiency methods include regularly reviewing existing processes to make changes as appropriate and identifying what is working and what is not working; designing a map of the office layout showing where different staff are located; providing good training for new staff and interns and maintaining good posture and comfortable seating. Maintaining an organized work space, desk, email, computer folders and hard copy files to enable easy document retrieval. Being organized is good for your well-being. Having a tidy work area and knowing where everything is, is liberating and helps boost your productivity and responsiveness. Make an effort to regularly declutter your desk. How do you keep your calendar under control? If you don’t keep an eye on it, your calendar could get out of control leaving you running around in circles. Utilize your calendar as a deliberate scheduling tool. It is a good idea to have all your meetings and appointments in one calendar and look at it every day. If you have the luxury, you can start off by booking work blocks when you intend to fully focus on projects. Schedule times during the day for when you will look at emails and provide feedback be it simple responses or in depth answers. Book recurring meetings and leave open slots on your calendar where others can book meetings with you. Take into account time zone factors which can affect meeting times especially when international meetings are planned, the time differences can be significant. Schedule time off and vacations on your calendar because burnout and fatigue affect your responsiveness. Being well rested and alert helps improve your response time. Keeping promises you have made strengthens your credibility. One reason why commitments are missed is simply because they were forgotten. Make it a point to note down the major commitments that you have promised others. What was the commitment specifically? When is it due? Assess your capacity to enter into new commitments. Estimate how long it would take, identify the steps needed to fulfill the commitment and remind yourself what the commitments are. Work your commitments into your daily routine. Plug your commitments into your calendar and monitor your progress as you work towards meeting the pledges. Give an early heads up over any anticipated setbacks or delays. Think ahead and address problems before they arise to the greatest extent possible. Ways of anticipating problems include conducting surveys to find out undercurrents, analyzing recurring or cyclical events that have been problematic in the past and zooming in on those areas prone to breakdown before they do so. Additional methods are staying ahead of what needs to be done, envisioning the project in your mind and asking others how they have handled similar problems in the past. Other ways of anticipating problems include reading online reviews about your company – what are the complaints and how can they be handled? On the personal side of things, review your to-do list regularly to see if there tasks or items that you are avoiding or procrastinating. Typically a task that is being avoided has the potential to be problematic when the deadline is looming closer and the work has not yet been done or even started. These have potential of causing problems down the road. Waiting to do things at the last minute can become an ingrained behavior that is self-defeating. Be proactive in finding solutions to problems. Troubleshoot problems and identify when they started, diagnose and find the underlying cause quickly. Develop solutions, back-up plans and be comfortable making decisions. Develop steps for either preventing problems from reoccurring or steps for handling problems when they occur again. Having a standardized routine for your workday is beneficial. It helps to boost your productivity. By having a routine, you will have charted a familiar path which you can keep on repeating and improving each day, while at the same time being aware of the typical turbulence that can throw you off course and what corrective action you need to engage in to get back on course. Develop a routine for doing tasks and then keep improving your routine and performance. Tidy up your work area in the morning. Do hard tasks first then easy tasks. Or do easy tasks first to build momentum then do the hard tasks. Do one task steadily until you complete it. Respond to email requests, telephone calls, colleagues, meetings etc. Review the work done at the end of the day. Add new tasks and draft a plan for the next day’s work. Having a friendly attitude goes a long way in strengthening relationships at work and how people respond to you. Support others in their projects especially when they ask for your help and you are in a position to assist. Endeavor to participate in brainstorming meetings to help come up with ideas to improve the company and support customers better. Be known for submitting work on time and even for submitting work earlier than anticipated. Develop the capacity to work efficiently under pressure. Be flexible and open minded. Listen to other people’s opinions, suggestions and viewpoints. Practice being consistent and build the capacity to think on your feet especially when dealing with surprises. Get along well with colleagues by being collaborative, setting a good example and sharing the credit with others. Be compassionate, polite and kind. Have energy and enthusiasm. People will respond to your enthusiasm. Have passion about what you are doing. Give your best efforts at all times and take pride in doing a good job. Also have a winning mentality and think of possibilities. Carve out time for socializing with coworkers during company events and have a sense of humor. Look neat and presentable at all times. Treat everyone with respect regardless of their rank or titles. Take time to deliberately and sincerely praise others for doing things well. The art of following up is part of the arsenal of a proactive person. Following up and being persistent are ingredients for success in one’s career. It takes will power to constantly follow-up especially when you don’t receive any response. Follow up is needed in instances such as scheduling meetings or invitations, after meetings, after events, job applications and generally when you have sent someone an important email and they have not responded. You can also follow-up when sending reminders ahead of important deadlines, events or meetings. Additionally when thanking your customers and also when sending reminders for subscription renewals. When following up, personalize your email and refer to any email or communication you had previously sent. Following-up can be done through different avenues such as email, telephone, text, snail mail, meetings or social media. One way of going the extra mile is checking in on clients a few weeks or months after you have delivered a project just to see how things are going. It is granted to make the clients or customer pleasantly surprised. Spreading yourself too thin is a recipe for dropping the ball. Being over committed affects one’s ability to be proactive. It is necessary to have a good idea of what your current commitments are at all times to enable you assess whether you can take on additional work. If you are unable to honor a commitment, it is best to say no and offer a polite explanation that your plate is currently full. You can also have negotiation discussions to agree on later deadlines, revised or reduced scope of work. There are constant changes in the world of business. The ability to adapt to change easily affects one’s capacity to be proactive. When confronted with change take time to analyze and understand the reason for the change, the impact of the change and how you need to adjust seamlessly moving forward. If you are the one initiating the change, it is critical to communicate the change well to others. Ideally involve them in every step of the change and let people understand the reason why the change is being introduced and the potential benefits. Be proactive by using auto-responders appropriately. Auto-responders that you can use to increase your efficiency include out of office email notifications and voice mail greetings and notifications. When you are away from the office for a meeting, training, vacation etc. it is a good practice to activate your out of office email. This should have a brief message mentioning the dates when you are unavailable, when you will be available, who is to be contacted in your absence as well as their contact details or alternatively specify when you expect to read emails. Set up the auto responder with a specific start and end date and time. When you are back in the office double check to ensure that your auto responder is not sending emails, it can make you look disorganized. Similarly out of office voicemail can serve the same function as out of office email notifications. Remember to deactivate this once you return to the office. Additionally setup a standard voicemail greeting. The tone of your voicemail greeting should be friendly. State your name, title, company, department and a brief message for callers to leave their name, contact details and a message mention you will get back to them as soon as you can. You could also state what your normal business hours are to give callers an idea of when they can expect to reach you or hear from you. Check your voicemail on a regular basis and respond to voicemail as soon as you can. When working on a project, update your boss, your team, client and other relevant stakeholders on the progress at regular intervals and also once the activity is completed. In addition let your boss hear your mistakes from you first or any potential holdups. It is important to receive feedback because it measures how you are performing. Demonstrate a willingness to learn and desire to be corrected when you are wrong. 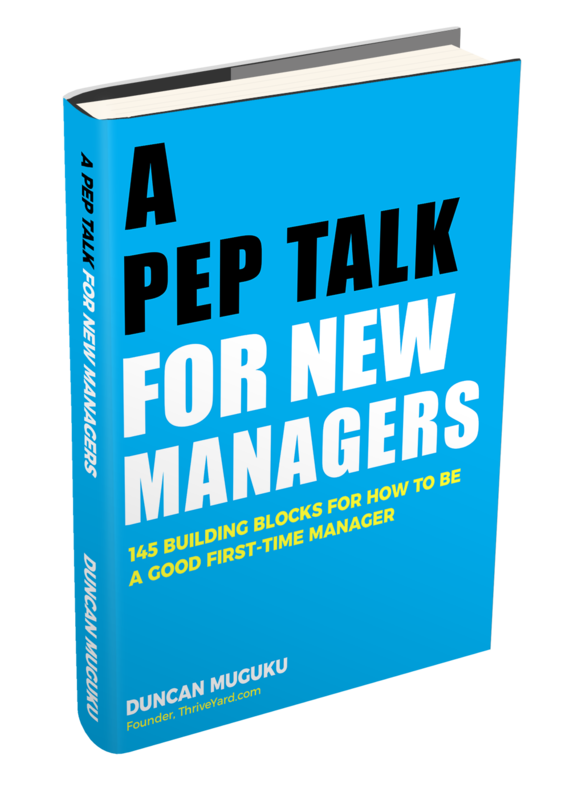 Ask feedback from colleagues, supervisors and customers. Feedback can come from multiple sources such as performance reviews, suggestions, complaints, listening to ideas and asking good questions. The next step after receiving feedback is to reflect on it and put it to use. What are you doing well? What should you continue doing? What areas and skills should you improve on? What behaviors or actions should you stop doing? What new things should you start doing? Good feedback is timely, actionable and specific. You should also welcome constructive feedback that is aimed at making you better, more efficient and proactive. Remember to thank those who take time to give you feedback. Just as it is important to receive feedback, it is equally important to give others feedback. Give others feedback in a specific and respectful way. Think of what information and suggestions you can share to help others improve their behavior and succeed at work. One more form of feedback is letting employees know or see the results of their work i.e. who benefits from what they do and how they benefit. Since time is a non-renewable resource, we should utilize good methods to maximize the time available. Time is limited. Time management entails doing the most amount of productive and efficient work within the shortest time possible. 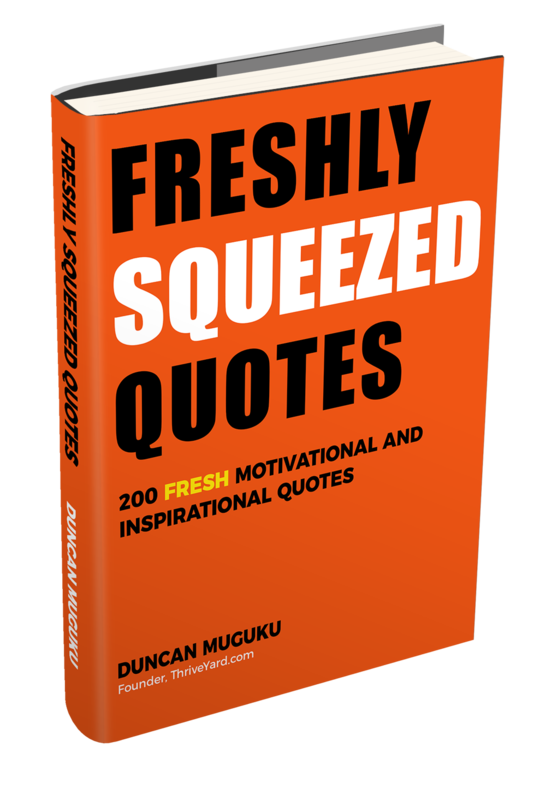 The emphasis is on efficiency and not jumping from task to task or never ending busyness. The foundation of time management is in knowing what you want to do, why you should do it, planning how to do it and doing it in the best way possible. A broad formula for time management is to map out the daily tasks to do, begin each day by doing the most important tasks, have a time-frame for how long to work on a task and review it after you have completed it. Stay on top of deadlines by writing down the deadlines, breaking projects into small tasks, setting-up reminders, staying focused, eliminating distractions, monitoring progress and wherever possible completing tasks ahead of the deadline. Plan what you want to accomplish then take action. Planning ahead entails knowing what you want to achieve and then structuring your activities in a systematic or sequential way around the time available. At the end of the activity, examine what you did against your initial objectives. Understand the big picture of your company and how your work supports the overall organizational vision. Know how the moving pieces are connected. Know what others are working on and how you can support. Get into a good rhythm at the beginning of the day. Part of planning involves knowing your most productive periods during the day. Periods when you are really energetic, focused and your engines are revving and endeavor to do your most creative and productive work around those times. On a regular basis iterate, improve, refine, reduce, modify, redesign and recalibrate your work processes. Always be on the lookout for a better way of performing your work. Some easy steps of improving work processes include: reducing steps for accomplishing daily projects without compromising the quality of the output, delegating certain tasks to others, automating tasks, using checklists, developing standard operating procedures and designing forms and templates for everyday use. Others include preparing manuals, templates, responses to frequently asked questions, setting up reminders, avoiding scheduling back to back meetings and scheduling short meetings. Preparing agendas for meetings and following the agenda, unsubscribing from email lists to control your inbox, checking emails at specific periods during the day rather than continuously working on email all day long and crafting standard email responses for questions you respond to over and over again. Ways to participate actively at work include contributing and speaking up during meetings and giving your suggestions, opinions or recommendations, participating in brainstorming sessions, volunteering, helping out the team and going the extra mile. Other ways include teaching others, having initiative, participating in external activities and events, conducting and reviewing customer surveys, listening to customer feedback and complaints then identify any trends and visiting customers on their premises. Even with our best intentions to work as best as we can and be highly proactive, inevitably mistakes do happen. What should you do during these instances? Instances where someone drops the ball include missing a deadline, forgetting to do an important task, making a major mistake, being late for an important meeting or forgetting the meeting altogether, or when you don’t have an answer during a telephone call. Options for when you fall behind in your work: working remotely, working earlier, staying late, asking for help, renegotiating deadlines, putting up a do not disturb sign, seeking cooperation of colleagues, working weekends, temporarily saying no to new tasks and compressing time by forcing yourself to work faster. Fight procrastination by forcing yourself to do those tasks you have been avoiding or postponing. Also become better at estimating the time needed to complete tasks. Take ownership when you make a mistake. Be a student of innovation, not all strategies will work out but keep innovating and improving. What are your strengths and weaknesses? What do you excel in doing? Which tasks do you enjoy doing the most? Which ones do you least enjoy? Be on the lookout for potential slip ups in tasks that you don’t enjoy but still have to do. Focus more energy and be vigilant on these areas. Aim to stay up to date on skills necessary to succeed and advance in your line of work or career. Observe trends in your industry. Read articles, news reports and industry publications. Sharpen your technology and other skills through avenues such as watching “how to” videos, free online courses, paid courses, research, following trendsetters in your industry on social media, learning from peers and investing in continuing education. Taking time to listen attentively and taking good notes helps in how you respond to others. Ask good questions to gain deeper understanding or to clarify instructions and assumptions. When writing, use simple and easy to understand sentences. Avoid jargons. Choose the correct medium to communicate depending on the situation – email, phone call, face to face, fax, snail mail, chat, text, video, social media etc. When involved in a critical telephone call, it is a good practice to write a summary of the phone call and share it with the parties involved as reference notes for what was discussed. Similarly during meetings it is helpful to take down the key points and circulate your meeting notes with the participants to ensure that you are all on the same page. A challenging scenario that arises from time to time is the ability to know when to switch from endless back and forth emails to resolving an issue via a phone call or face to face meeting. It pays off to know at what point you need to simply pick up the phone and discuss further. Interruptions are unavoidable parts of the work processes. Think through a typical week, what kind of interruptions do you get at work? It could be a flurry of emails, telephone calls, colleagues chatting with you or an emergency deadline or project. It could also be distractions such email or text message notifications, cell phone, browsing the Internet or social media and checking email constantly. How you respond to interruptions when you are busy has an impact on your work output. The impact could be negative or positive depending on the situation. For example if the issue arising is a sudden deadline that needs your attention or assistance, your swift response is paramount. If a colleague needs your input you can let them know you are pressed for time but can spare a few minutes to listen to and address their issue. If they need a more comprehensive response you could request them to either send you an email or you can have a meeting later on. If it is colleagues passing by your desk just to chit chat then this can eat up your time and cause you to fall back on your work schedule. At the same time it is important to nurture work relationships with colleagues and not brush them off when they want to talk to you. Work place friendships are important in boosting job satisfaction, morale and productivity. You could try one of two approaches, firstly let your colleague know that you can’t chat now because you are working on a project but you will pass by their desk later or secondly you can later on mutually plan a group lunch together at convenient times just to catch up. What is the next step after being proactive? Taking initiative is the next logical step after being proactive. Being proactive means thinking ahead, planning ahead and acting ahead. Whereas taking initiative means going the extra mile or going above and beyond your normal responsibilities to make things happen. Learn more about taking initiative by reading our in-depth article on 17 Tips on How to Take Initiative at Work. 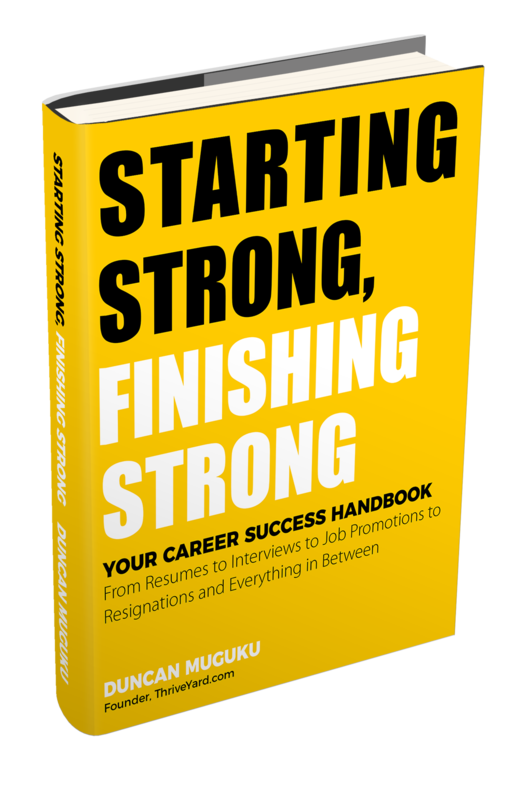 Learn solid tips on how to be proactive at work to help propel you further in your career. A proactive employee thinks ahead, acts ahead and gets ahead. Being proactive builds your personal brand and reputation at work. People can count on you for your reliability.